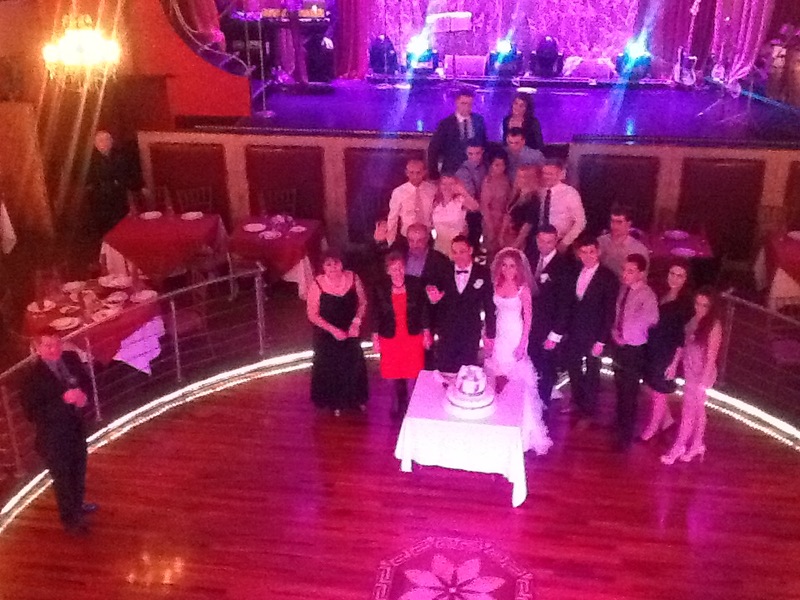 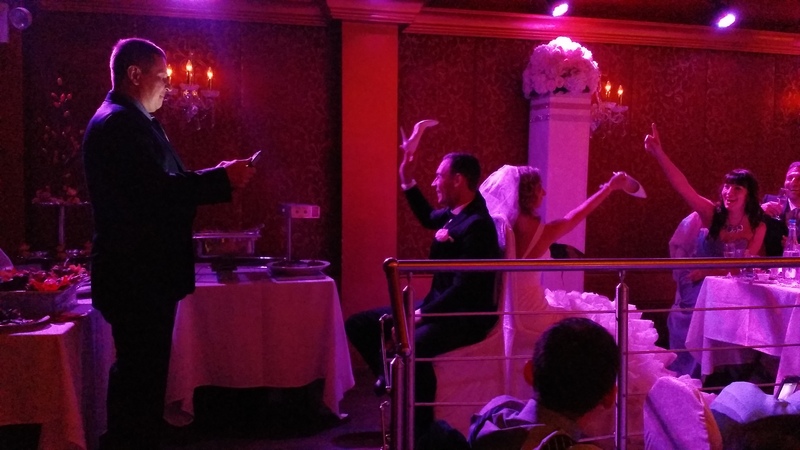 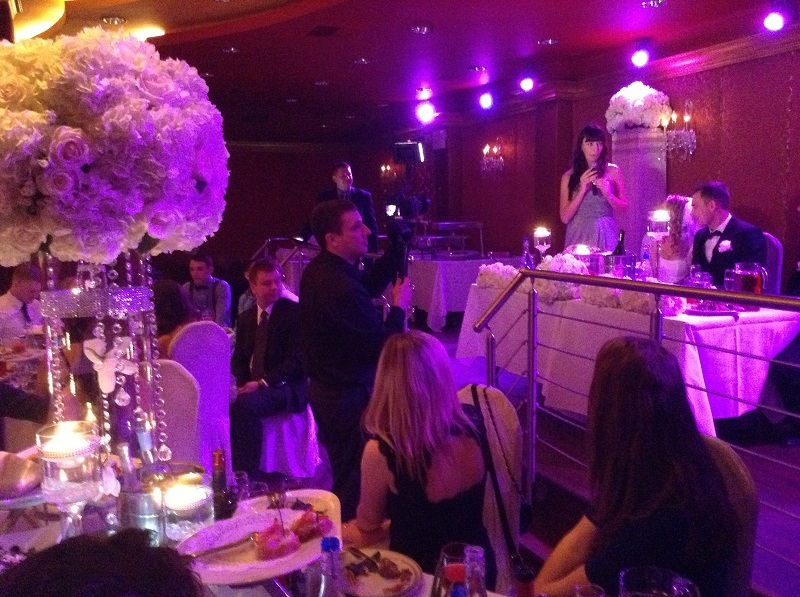 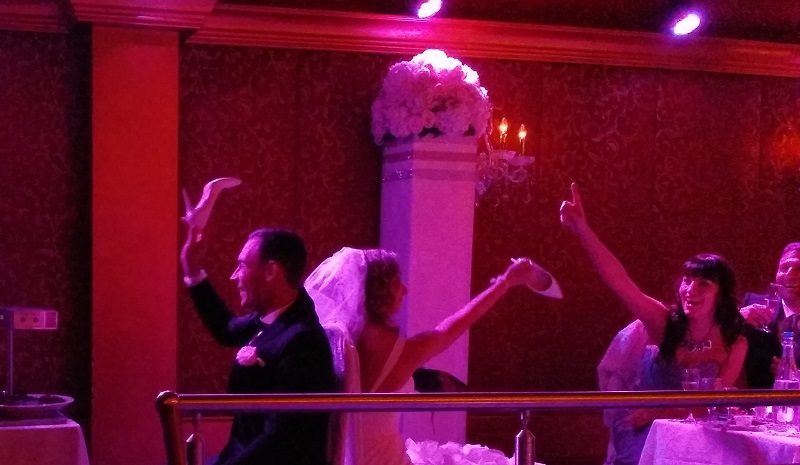 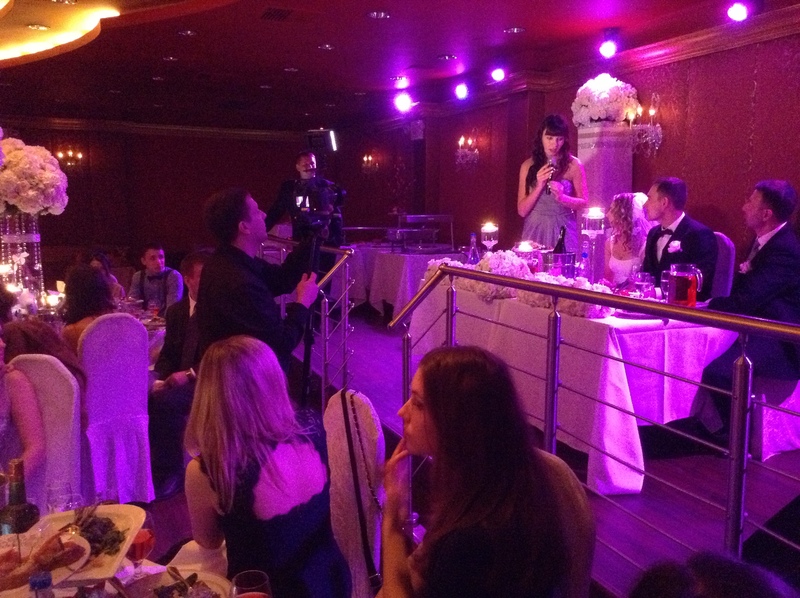 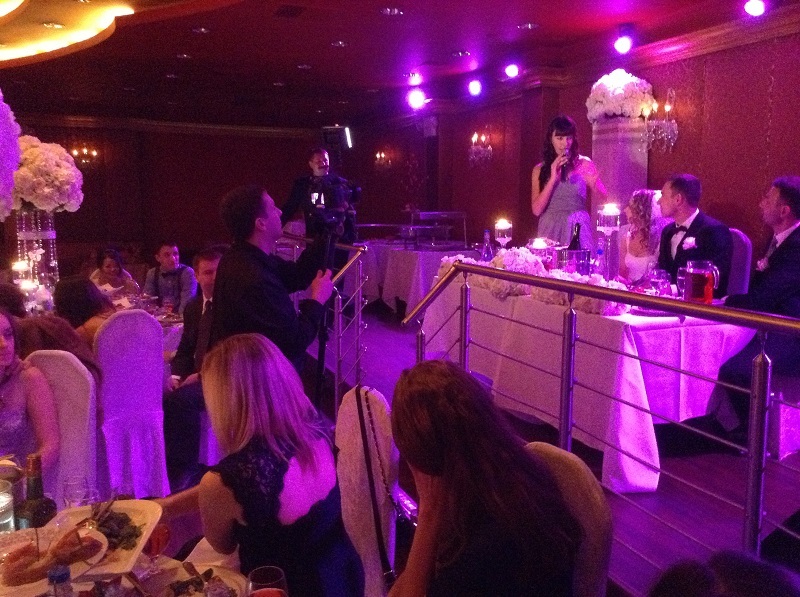 Bilingual Russian-English speaking Wedding Master of Ceremonies (MC), and tamada Mikhail provided entertainment in both Russian and English languages during wedding reception on November 22, 2014 at the Romanoff Restaurant and club in Brooklyn, New York. 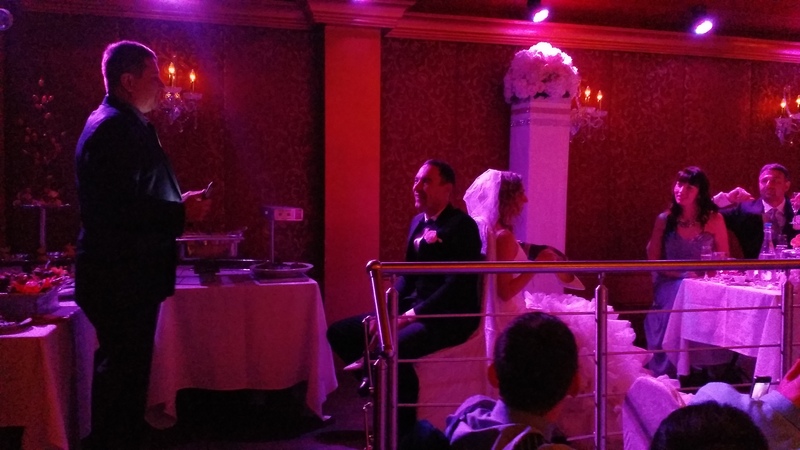 Exact address: 2670 Coney Island Ave, Brooklyn, NY 11235. 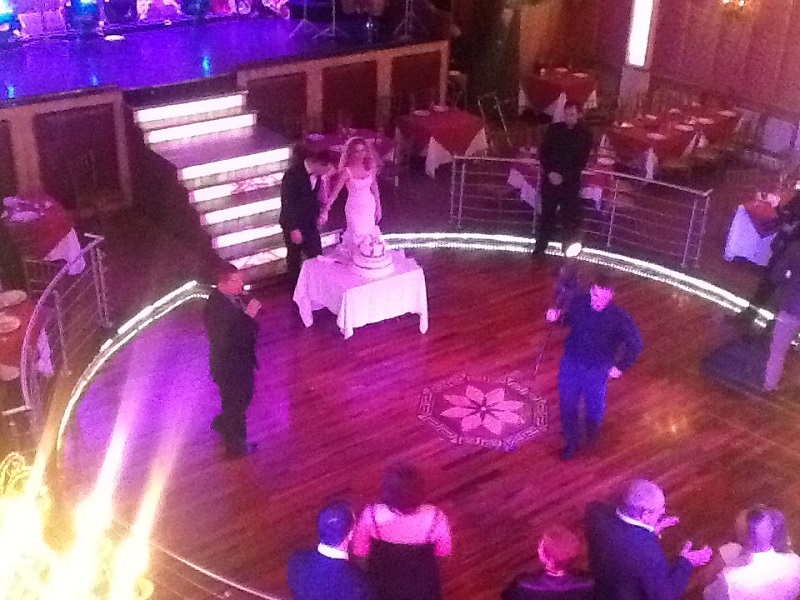 Wedding entertainment included "First Dance" (первый танец), Queez for the guests "How Well We Know The Newlyweds" (викторина «Как хорошо мы знаем молодожёнов»), "Secrets of the Newlyweds" (игра «Секреты молодожёнов»), announcements of the toasts from parents (тосты от родителей жениха и невесты), Best Man (речь свидетеля), and Maid of Honor (речь свидетельницы), "Garter" («ЦЕРЕМОНИЯ СНЯТИЯ ПОДВЯЗКИ»), "Bouquet Tossing" («СВАДЕБНЫЙ БУКЕТ»), and "Cutting the Cake" («ЦЕРЕМОНИЯ РАЗРЕЗАНИЯ СВАДЕБНОГО ТОРТА»). 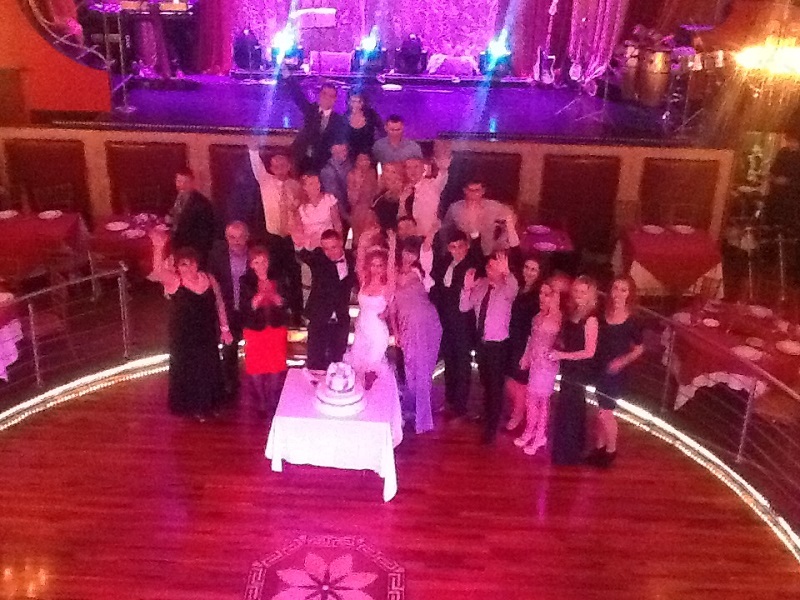 Mikhail Smirnov also proided DJ, MC and Tamada services in Canada, Australia, Mexico's Playa Mujeres, Puerto Morelos, Playa Paraiso, Riviera Maya, Russia, United States Virgin Islands, Los Angeles, CA, Groton, CT, Trumbull, CT, West Hartford, CT, Washington, D.C, Daytona Beach, FL, Fort Lauderdale, FL, Panama City Beach, FL, Santa Rosa Beach, FL, West Palm Beach, FL, Maui, Hawaii, Buffalo Grove, IL, Indianapolis, IN, Wellesley, MA, wheaton, MD, Lake Ozark, MO, St. Louis, MO, Murphy, NC, Wrightsville Beach, NC, windham, NH, Hackensack, NJ, Manalapan, NJ, North Haledon, NJ, Voorhees, NJ, Albany, NY, Bayville, NY, Brooklyn, NY, Romanoff, Brooklyn, NY, Greenpoint, NY, New York City, Sheepshead Bay, NY, Staten Island, NY, Queens, NY, Woodbury, NY, Yonkers, NY, Clarks Summit, PA, Philadelphia, PA, Pittsburgh, PA, Richboro, PA, OceanCliff Hotel, Newport, Rhode Island, Lynchburg, TN, Fort Belvoir, VA, Woodbridge, VA.